"Add tread to trend with the Upena, a multi-strap leather sandal with a textured rubber outsole. Adjustable ankle strap with antiqued metal buckle for a customized fit. 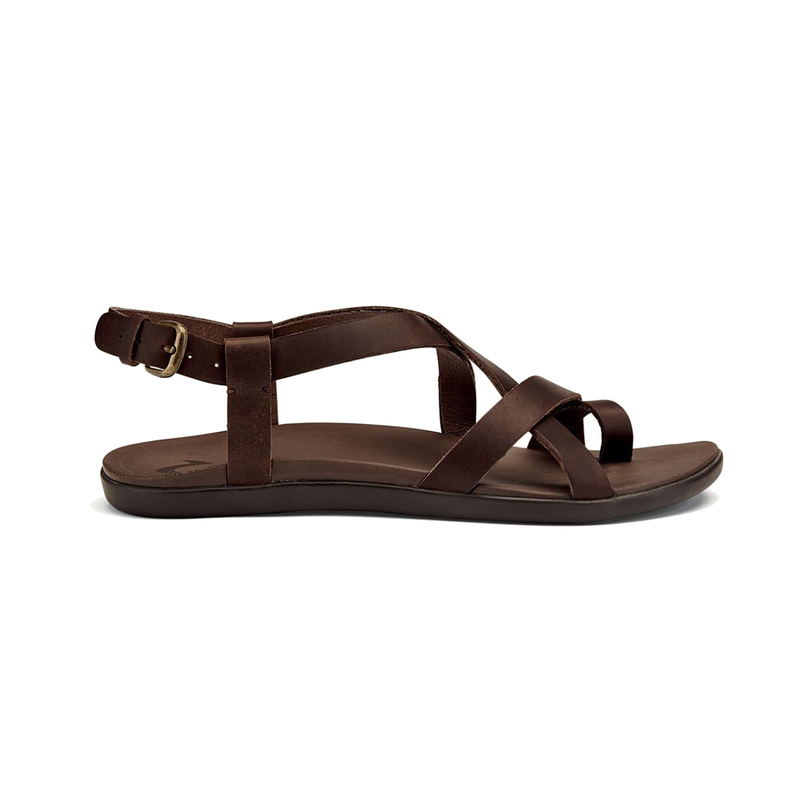 Slotted leather toe post with a comfortable bonded construction. Our thermoset rubber is a compound of natural and synthetic rubber that will not leave marks or scuffs on surfaces of any type. Our gum rubber outsoles, as a natural material, will always naturally be non-marking."